New 100% Cotton Duvet Cover Sets!With new designs for both boys and girls, our original cotton duvet covers are perfect for a peaceful night's sleep. Wildkin Sleeping Bags Make sleepovers and weekends away extra fun with our gorgeous range of Children's Sleeping Bags. Perfect for kids on-the-go! Fun and Festive Duvet Cover Sets Show your Christmas spirit with our warm and comfortable bedding for the Holiday season. Let your children drift off to sleep with our super soft Children’s Duvet Sets. 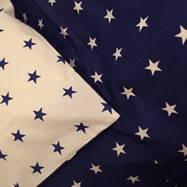 Made from 100% pure cotton and poly-cotton our unique and luxurious range of Childrens’ Duvet Cover Sets, feature a number of different themes for both boys and girls. 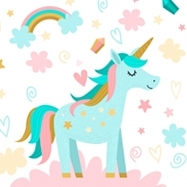 Including unicorn, space, woodland, farm, transport themes, these cute and colourful bedding sets are perfect for brightening up your children’s bedrooms. 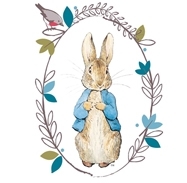 Pure cotton is the best cotton as this is a natural fibre and is breathable, hypo-allergenic, soft and durable. This is perfect for children will super sensitive skin and is great for aiding a good nights sleep. These practical and eye-catching bedding sets are ideal for themed bedrooms and are made for single sized bedding. All duvet cover sets include a duvet cover and matching pillow case. Machine washable and tumble dryer safe, these gorgeous bed sets are durable and can be used time and time again.